Time to Recycle those Old Shoes! 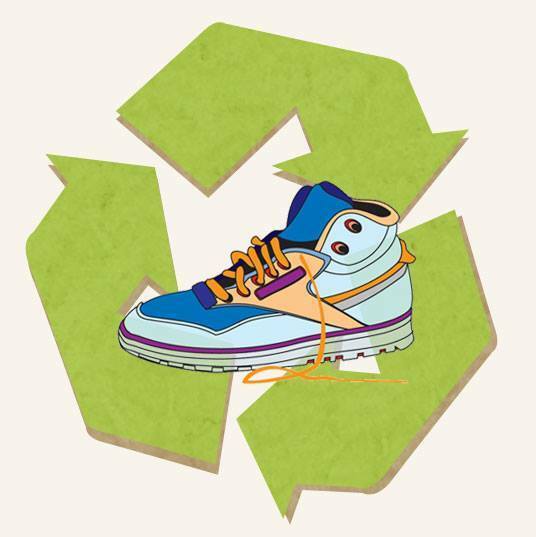 It’s time to recycle those old shoes again! We will be helping Rukundo International with their shoe drive for the next 3 weeks. We have 2 collection bins in town: One in front of Cafe 107 ~ Poolesville Athletic Club and another inside Franklin Press. Don’t let your old shoes end up here! Decomposing organic shoe materials like leather and wood releases methane, a harmful greenhouse gas that contributes to climate change. Recycle them for a good cause! We will accept any kind of shoe in any condition. Singles ok too. We collected 120 pairs of shoes in the past week and a half. Our collection bins will be out in front of Cafe 107 ~ Poolesville Athletic Club and Franklin Press until Wednesday, Oct. 14. We can accept shoes of ANY KIND in ANY CONDITION. 1. It keeps old shoes out of landfills. 2. It helps Rukundo International raise funds to build schools in Uganda. 3. Collected shoes are shipped to developing countries where they are cleaned and repaired. They are then given to impoverished people to start and grow their micro-enterprise, giving them the opportunity to feed, clothe, and house their families.